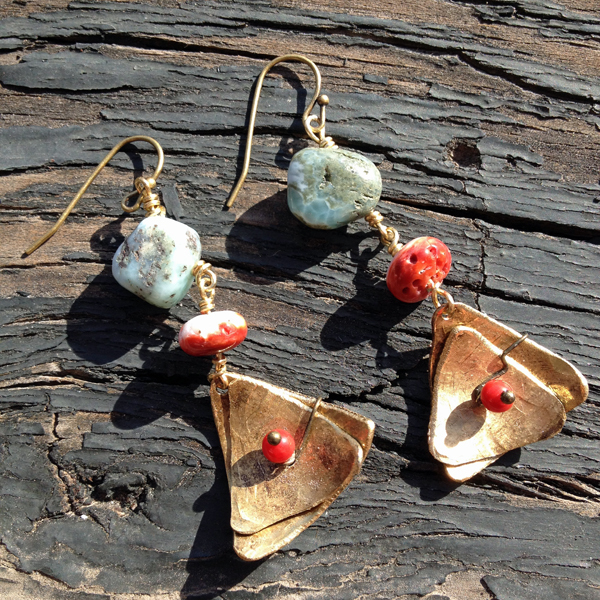 Made with reclaimed brass, spiny oyster, Larimar, and coral, these earrings pack a lot of style into just 1 3/4 inches. P.S. 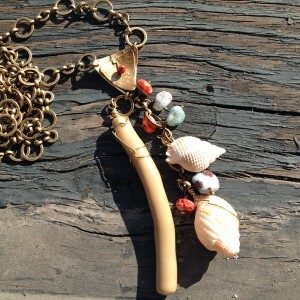 There’s a necklace that would be perfect with these (hint, hint).